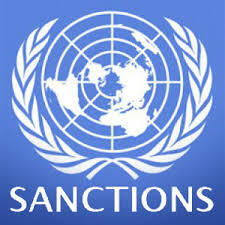 Recently in the news, the United States issued more sanctions against Russia. These sanctions are a direct result of the recent incident with Ukraine and Crimea. Usually in these types of situations, sanctions could diminish trade activity between two nations. Carriers and freight forwarders worldwide want to avoid harsh trade situations. There is good news however. A recent Zepol Corporation study found that despite all of these sanctions, import-shipping levels from Russia have stayed the same as in recent years. $25 billion worth of imports are shipped every year from Russia to the US. Most of the shipments are oil. Along with bulk shipping, these make up the majority of the trade shipments from Russia. There are also still container shipments occurring between Russia and the United States. Shippers should keep a close on this situation in Eastern Europe. There is a possibility that this could be a serious issue regarding international freight shipping. For example, as a result of any sanction, there could be blocked trade routes to some shipping ports in Eastern Europe. There have also been reports of railroad transportation issues in that region now, especially with so many rail tracks passing through Russia. Port tariffs could also be a big deal in the region as well. If the situation with the sanctions in Russia worsens, then this could impact ocean freight shipping rates. Let us hope that the situation resolves peacefully and quickly so that the trade market between the United States and Russia can improve greatly.